Are you gift wrapped and stored? Do you know for some people you are so special to them that they allow you no room for growth? Yes, for some people, they carefully wrap and place you in a box like a gift except, this gift is stored, not given to anyone. They believe that they are taking good care of you by wrapping and placing you in a very nice box. This box is then placed on a shelf or tucked away in a cupboard. This box is now stored and so are you. But how does this affect you? In this box there is no room for growth, no room for imagination, or any kind of action. In other words, the light is not shining on you. Examine your situation in real life. 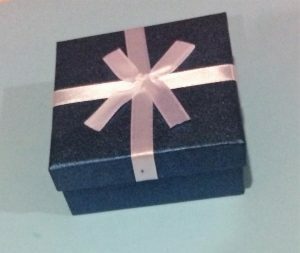 Are there people who care about you so much that they want to protect you by gift wrapping, and placing you in a nice box, or have they already wrapped and placed you in this box? These people could be friends, family members or supervisors at work. I will tell you that they mean you no harm. Their actions are not malicious. From their vantage point, they believe they’re helping you. And yes, they are, but this kind of help is not the right kind, as it will eventually destroys you. You will never blossom into who you are supposed to be, or even solve the problems you came into this work to resolve because you are stuck. In such a box, as you life is going nowhere you cannot understand why. But your physical world looks great as the beautiful wrapper represents it so well. If you find yourself in this kind of box, please unwrap yourself, stand up and step out of it. Place your feet firmly on the ground and keep walking. Walk away from a dependent situation to a one of self reliance. Leave me a comment to let me know if you’ve been gift wrapped.